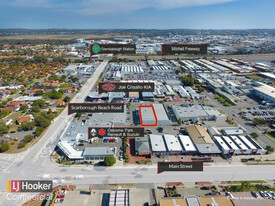 52 Commercial Real Estate & Properties in Osborne Park are listed in 6 categories. We have 27 OfficesSale & Lease , 19 Industrial Warehouses Sale & Lease , 3 ShowroomsSale & Lease , 2 Retail ShopsSale & Lease , 1 Development LandsSale & Lease and 1 Medical and Consulting PropertiesSale & Lease . Close To Public Transport | Fitted And Furnished | Spacious Office $190pw | 2 Person Workspa..
PROPERTY OVERVIEW $190pw Price incl. Newly fitted and furnished office space for rent in Osborne Park, close to Glendalough Train Station. This 350 sqm facility offers newly refurbished executive style offices, new bathrooms, meeting rooms and spacious common areas with flat screen TVs. The current tenants don’t need all that space to themselves so here’s the chance for more businesses to join them and rent an affordable and flexible office space on Perth’s fringe. All the setup work is done for you with high speed internet, 24/7 security, printers and regular cleaning services included in the advertised rate. If you’re friendly, respectful, happy to share communal spaces and work mainly at your desk, you’ll find this workspace very suitable. Accessible 24/7, fully furnished and neutrally styled, this plug and play workspace in Osborne Park would suit every line of work. Enquiries welcome and regular tours available. This shared workspace is housed in an immaculately presented high truss warehouse between Glendalough Train Station and Herdsman Lake. It is just as spacious on the outside as it is the inside with several off street parking spaces at the front of the property that are available at additional cost. The modern building has disabled access and facilities, showers, bicycle storage and air conditioning to give modern professionals everything they need in their working day. This office is close to a wide range of amenities including Glendalough Station (1km), many of Osborne Park’s big retail stores, neighbouring local businesses and Herdsman Lake, a popular spot for walking, cycling and wildlife spotting. The advertised office space is perfect for a team of 2. If you need more or less space, we have over 30,000 furnished workspaces all over the world suitable for a team of 1 to 200+. Our award winning team offer a free service that will help you find the perfect solution for your needs, so reach out if you need more help. What you get for your weekly rent , 24/7 Access , 24/7 Security , Access to internal breakout areas , Access to kitchen facilities , Access to secure printer and scanner , Building outgoings included , Electricity usage included , Flexible terms , Regular cleaning , Secure high speed Internet Building features , Abundance of natural light , Air conditioning , Bicycle storage , Car parking in building (Paid) , Disabled access and facilities , End of trip facilities e.g showers, bike racks , Taxi / Uber stand close to building 1km to Glendalough Train Station 57m to bus stops (buses 407, 15, 85) 350m to running/cycling tracks at Herdsman Lake 3.1km to Westfield Innaloo 43m to the popular Aroma Cafe Who is Office Hub? Office Hub is the world\'s No.1 marketplace for office space. We have a huge global selection of coworking spaces, serviced offices and shared office spaces with flexible options to suit teams from 1 200 people. We\'ll take you on a tour of all the workspaces that fit your needs and work on your behalf to get the best price possible. We\'ll help you discover how shared office space can be the most beneficial and budget friendly solution for your business. www.office hub.com Conditions apply – the advertised price includes any incentives offered based on a 12 month agreement and is available to new tenants only. Please note that the rental rate may increase for a shorter rental period. A portion of the square meterage factors in access to shared space. $179pw | 1 Person Workspa..
PROPERTY OVERVIEW $179pw Price incl. Newly fitted and furnished office space for rent in Osborne Park, close to Glendalough Train Station. This 350 sqm facility offers newly refurbished executive style offices, new bathrooms, meeting rooms and spacious common areas with flat screen TVs. The current tenants don’t need all that space to themselves so here’s the chance for more businesses to join them and rent an affordable and flexible office space on Perth’s fringe. All the setup work is done for you with high speed internet, 24/7 security, printers and regular cleaning services included in the advertised rate. If you’re friendly, respectful, happy to share communal spaces and work mainly at your desk, you’ll find this workspace very suitable. Accessible 24/7, fully furnished and neutrally styled, this plug and play workspace in Osborne Park would suit every line of work. Enquiries welcome and regular tours available. This shared workspace is housed in an immaculately presented high truss warehouse between Glendalough Train Station and Herdsman Lake. It is just as spacious on the outside as it is the inside with several off street parking spaces at the front of the property that are available at additional cost. The modern building has disabled access and facilities, showers, bicycle storage and air conditioning to give modern professionals everything they need in their working day. This office is close to a wide range of amenities including Glendalough Station (1km), many of Osborne Park’s big retail stores, neighbouring local businesses and Herdsman Lake, a popular spot for walking, cycling and wildlife spotting. The advertised office space is perfect for a team of 1. If you need more or less space, we have over 30,000 furnished workspaces all over the world suitable for a team of 1 to 200+. Our award winning team offer a free service that will help you find the perfect solution for your needs, so reach out if you need more help. What you get for your weekly rent , 24/7 Access , 24/7 Security , Access to internal breakout areas , Access to kitchen facilities , Access to secure printer and scanner , Building outgoings included , Electricity usage included , Flexible terms , Regular cleaning , Secure high speed Internet Building features , Abundance of natural light , Air conditioning , Bicycle storage , Car parking in building (Paid) , Disabled access and facilities , End of trip facilities e.g showers, bike racks , Taxi / Uber stand close to building 1km to Glendalough Train Station 57m to bus stops (buses 407, 15, 85) 350m to running/cycling tracks at Herdsman Lake 3.1km to Westfield Innaloo 43m to the popular Aroma Cafe Who is Office Hub? Office Hub is the world\'s No.1 marketplace for office space. We have a huge global selection of coworking spaces, serviced offices and shared office spaces with flexible options to suit teams from 1 200 people. We\'ll take you on a tour of all the workspaces that fit your needs and work on your behalf to get the best price possible. We\'ll help you discover how shared office space can be the most beneficial and budget friendly solution for your business. www.office hub.com Conditions apply – the advertised price includes any incentives offered based on a 12 month agreement and is available to new tenants only. Please note that the rental rate may increase for a shorter rental period. A portion of the square meterage factors in access to shared space. $454pw | 6 Person Workspa..
PROPERTY OVERVIEW $454pw Price incl. Recently fitted out, new bathrooms and spacious common areas with flat screen TV's The advertised office space is perfect for a team of 6. If you need more or less space, we have over 30,000 furnished workspaces all over the world suitable for a team of 1 to 200+. Our award winning team offer a free service that will help you find the perfect solution for your needs, so reach out if you need more help. What you get for your weekly rent , 2 Private Offices , 24/7 Access , 24/7 Security , Access to internal breakout areas , Access to kitchen facilities , Access to secure printer and scanner , Building outgoings included , Electricity usage included , Flexible terms , Regular cleaning , Secure high speed Internet Building features , Abundance of natural light , Air conditioning , Bicycle storage , Car parking in building (Paid) , Disabled access and facilities , End of trip facilities e.g showers, bike racks , Taxi / Uber stand close to building 1km to Glendalough Train Station 57m to bus stops (buses 407, 15, 85) 350m to running/cycling tracks at Herdsman Lake 3.1km to Westfield Innaloo 43m to the popular Aroma Cafe Who is Office Hub? Office Hub is the world\'s No.1 marketplace for office space. We have a huge global selection of coworking spaces, serviced offices and shared office spaces with flexible options to suit teams from 1 200 people. We\'ll take you on a tour of all the workspaces that fit your needs and work on your behalf to get the best price possible. We\'ll help you discover how shared office space can be the most beneficial and budget friendly solution for your business. www.office hub.com Conditions apply – the advertised price includes any incentives offered based on a 12 month agreement and is available to new tenants only. Please note that the rental rate may increase for a shorter rental period. A portion of the square meterage factors in access to shared space. Close To Public Transport | Ideal Working Environment | Fully Furnished $264pw | 4 Person Workspa..
PROPERTY OVERVIEW $264pw Price incl. Newly fitted and furnished office space for rent in Osborne Park, close to Glendalough Train Station. This 350 sqm facility offers newly refurbished executive style offices, new bathrooms, meeting rooms and spacious common areas with flat screen TVs. The current tenants don’t need all that space to themselves so here’s the chance for more businesses to join them and rent an affordable and flexible office space on Perth’s fringe. All the setup work is done for you with high speed internet, 24/7 security, printers and regular cleaning services included in the advertised rate. If you’re friendly, respectful, happy to share communal spaces and work mainly at your desk, you’ll find this workspace very suitable. Accessible 24/7, fully furnished and neutrally styled, this plug and play workspace in Osborne Park would suit every line of work. Enquiries welcome and regular tours available. This shared workspace is housed in an immaculately presented high truss warehouse between Glendalough Train Station and Herdsman Lake. It is just as spacious on the outside as it is the inside with several off street parking spaces at the front of the property that are available at additional cost. The modern building has disabled access and facilities, showers, bicycle storage and air conditioning to give modern professionals everything they need in their working day. 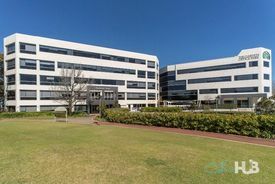 This office is close to a wide range of amenities including Glendalough Station (1km), many of Osborne Park’s big retail stores, neighbouring local businesses and Herdsman Lake, a popular spot for walking, cycling and wildlife spotting. The advertised office space is perfect for a team of 4. If you need more or less space, we have over 30,000 furnished workspaces all over the world suitable for a team of 1 to 200+. Our award winning team offer a free service that will help you find the perfect solution for your needs, so reach out if you need more help. What you get for your weekly rent , 24/7 Access , 24/7 Security , Access to internal breakout areas , Access to kitchen facilities , Access to secure printer and scanner , Building outgoings included , Electricity usage included , Flexible terms , Regular cleaning , Secure high speed Internet Building features , Abundance of natural light , Air conditioning , Bicycle storage , Car parking in building (Paid) , Disabled access and facilities , End of trip facilities e.g showers, bike racks , Taxi / Uber stand close to building 1km to Glendalough Train Station 57m to bus stops (buses 407, 15, 85) 350m to running/cycling tracks at Herdsman Lake 3.1km to Westfield Innaloo 43m to the popular Aroma Cafe Who is Office Hub? Office Hub is the world\'s No.1 marketplace for office space. We have a huge global selection of coworking spaces, serviced offices and shared office spaces with flexible options to suit teams from 1 200 people. We\'ll take you on a tour of all the workspaces that fit your needs and work on your behalf to get the best price possible. We\'ll help you discover how shared office space can be the most beneficial and budget friendly solution for your business. www.office hub.com Conditions apply – the advertised price includes any incentives offered based on a 12 month agreement and is available to new tenants only. Please note that the rental rate may increase for a shorter rental period. A portion of the square meterage factors in access to shared space. Abundance Of Natural Light | Transport Close By | Bike Racks & Showers $654pw | 8 Person Workspa..
PROPERTY OVERVIEW $654pw Price incl. Recently fitted out, new bathrooms and spacious common areas with flat screen TV's The advertised office space is perfect for a team of 8. If you need more or less space, we have over 30,000 furnished workspaces all over the world suitable for a team of 1 to 200+. Our award winning team offer a free service that will help you find the perfect solution for your needs, so reach out if you need more help. What you get for your weekly rent , 3 Private Offices , 24/7 Access , 24/7 Security , Access to internal breakout areas , Access to kitchen facilities , Access to secure printer and scanner , Building outgoings included , Electricity usage included , Flexible terms , Regular cleaning , Secure high speed Internet Building features , Abundance of natural light , Air conditioning , Bicycle storage , Car parking in building (Paid) , Disabled access and facilities , End of trip facilities e.g showers, bike racks , Taxi / Uber stand close to building 1km to Glendalough Train Station 57m to bus stops (buses 407, 15, 85) 350m to running/cycling tracks at Herdsman Lake 3.1km to Westfield Innaloo 43m to the popular Aroma Cafe Who is Office Hub? Office Hub is the world\'s No.1 marketplace for office space. We have a huge global selection of coworking spaces, serviced offices and shared office spaces with flexible options to suit teams from 1 200 people. We\'ll take you on a tour of all the workspaces that fit your needs and work on your behalf to get the best price possible. We\'ll help you discover how shared office space can be the most beneficial and budget friendly solution for your business. www.office hub.com Conditions apply – the advertised price includes any incentives offered based on a 12 month agreement and is available to new tenants only. Please note that the rental rate may increase for a shorter rental period. A portion of the square meterage factors in access to shared space. Great Amenities | Regular Cleaning | Prime Location $540pw | 3 Person Workspa..
PROPERTY OVERVIEW $540pw Price incl. The advertised office space is perfect for a team of 3. If you need more or less space, we have over 30,000 furnished workspaces all over the world suitable for a team of 1 to 200+. Our award winning team offer a free service that will help you find the perfect solution for your needs, so reach out if you need more help. WHO IS OFFICE HUB? Office Hub has largest collection of shared office space, sublet office space, creative coworking office space and serviced offices, perfect for 1 200 employees. Let us take you on a tour of all the spaces that fit your needs and budget. Our service is complimentary and we work for you and the landlord to negotiate the most competitive deal in the market. Let us show you how shared and serviced offices can be the perfect solution for your business. www.office hub.com.au www.office hub.co.nz Conditions apply A portion of the square meterage factors in access to shared space. The advertised price includes any incentives offered based on a 12 month agreement. If a shorter period is agreed to please note the price may increase accordingly. This promotional offer for new tenants only and may be withdrawn at any time due to space availability. Fully Furnished | Recognised Building | Shared Workspace $720pw | 4 Person Workspa..
PROPERTY OVERVIEW $720pw Price incl. The advertised office space is perfect for a team of 4. If you need more or less space, we have over 30,000 furnished workspaces all over the world suitable for a team of 1 to 200+. Our award winning team offer a free service that will help you find the perfect solution for your needs, so reach out if you need more help. WHO IS OFFICE HUB? Office Hub has largest collection of shared office space, sublet office space, creative coworking office space and serviced offices, perfect for 1 200 employees. Let us take you on a tour of all the spaces that fit your needs and budget. Our service is complimentary and we work for you and the landlord to negotiate the most competitive deal in the market. Let us show you how shared and serviced offices can be the perfect solution for your business. www.office hub.com.au www.office hub.co.nz Conditions apply A portion of the square meterage factors in access to shared space. The advertised price includes any incentives offered based on a 12 month agreement. If a shorter period is agreed to please note the price may increase accordingly. This promotional offer for new tenants only and may be withdrawn at any time due to space availability. Abundance Of Natural Light | Free Parking | Fitted And Furnished $350pw | 3 Person Workspa..
PROPERTY OVERVIEW $350pw Price incl. Cost effective serviced office in Osborne Park, WA. Price Incl. Internet, Electricity & Kitchen Flexi Terms Modern Fit Out Regular Cleaning 24/7 Access Convenient suburban Perth Location Avail NOW for short or long term rent Located in the business hub of Osborne Park in Perth's inner northern suburbs, this modern building is well positioned for any small business to call home. Within 10 minutes of the CBD and close to shopping and restaurants, this centre also comes with plenty of free parking and is fully air conditioned. The advertised office space is perfect for a team of 3. If you need more or less space, we have over 30,000 furnished workspaces all over the world suitable for a team of 1 to 200+. Our award winning team offer a free service that will help you find the perfect solution for your needs, so reach out if you need more help. What you get for your weekly rent Furnished office with desks, chairs and storage units Complimentary receptionist to meet and greet your clients Unlimited commercial grade internet service Electricity usage included Regular cleaning Telephone number & handset Unlimited kitchen supplies, incl. tea, coffee & filtered water Prestigious business address to put on your cards Flexible terms from 1 month 2 years Ability to bring your existing phone number over 24 x 7 access to your office CCTV security Office features Full mail management and postage Boardroom and Meeting rooms available Signage board in foyer to highlight your business name Dedicated womens and mens bathrooms Server / Comms rooms available for server storage Building features Air Conditioning Catering Services Available Free Car parking Off Street 10 minutes to the CBD 750m to Mitchell Freeway 5 minute drive to Westfield and event cinemas 1.3 km to Glendalough Station Popular restaurants, bars, cafes and shopping centres on your doorstep WHO IS OFFICE HUB? Office Hub is Australia & New Zealand\'s No 1 small office space commercial real estate agency. We have the largest collection of shared spaces, coworking and serviced offices in Australia & New Zealand, perfect for 1 100 employees. Let us take you on a tour of all the spaces that fit your needs and budget. Our service is complimentary and we work for you and the landlord to negotiate the most competitive deal in the market. Let us show you how shared and serviced offices can be the perfect solution for your business. www.office hub.com.au www.office hub.co.nz Conditions apply A portion of the square meterage factors in access to shared space. Price includes any incentives offered. This is for new tenants only. 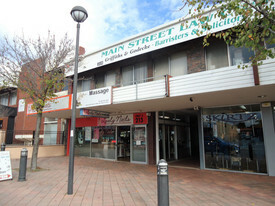 Convenient Location | Central Location | Free Parking $529pw | 4 Person Workspa..
PROPERTY OVERVIEW $529pw Price incl. Cost effective serviced office in Osborne Park, WA. Price Incl. Internet, Electricity & Kitchen Flexi Terms Modern Fit Out Regular Cleaning 24/7 Access Convenient suburban Perth Location Avail NOW for short or long term rent Located in the business hub of Osborne Park in Perth's inner northern suburbs, this modern building is well positioned for any small business to call home. Within 10 minutes of the CBD and close to shopping and restaurants, this centre also comes with plenty of free parking and is fully air conditioned. The advertised office space is perfect for a team of 4. If you need more or less space, we have over 30,000 furnished workspaces all over the world suitable for a team of 1 to 200+. Our award winning team offer a free service that will help you find the perfect solution for your needs, so reach out if you need more help. What you get for your weekly rent Furnished office with desks, chairs and storage units Complimentary receptionist to meet and greet your clients Unlimited commercial grade internet service Electricity usage included Regular cleaning Telephone number & handset Unlimited kitchen supplies, incl. tea, coffee & filtered water Prestigious business address to put on your cards Flexible terms from 1 month 2 years Ability to bring your existing phone number over 24 x 7 access to your office CCTV security Office features Full mail management and postage Boardroom and Meeting rooms available Signage board in foyer to highlight your business name Dedicated womens and mens bathrooms Server / Comms rooms available for server storage Building features Air Conditioning Catering Services Available Free Car parking Off Street 10 minutes to the CBD 750m to Mitchell Freeway 5 minute drive to Westfield and event cinemas 1.3 km to Glendalough Station Popular restaurants, bars, cafes and shopping centres on your doorstep WHO IS OFFICE HUB? Office Hub is Australia & New Zealand\'s No 1 small office space commercial real estate agency. We have the largest collection of shared spaces, coworking and serviced offices in Australia & New Zealand, perfect for 1 100 employees. Let us take you on a tour of all the spaces that fit your needs and budget. Our service is complimentary and we work for you and the landlord to negotiate the most competitive deal in the market. Let us show you how shared and serviced offices can be the perfect solution for your business. www.office hub.com.au www.office hub.co.nz Conditions apply A portion of the square meterage factors in access to shared space. Price includes any incentives offered. This is for new tenants only. Modern showroom / warehouse of 602sqm. Large open showroom area with high truss warehouse at the rear. Air conditioned showroom with clear span warehouse and large roller door. 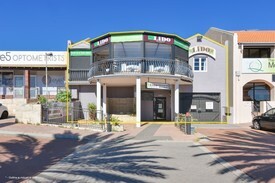 Located off Scarborough Beach Road, close to the intersection with Main Street. Excellent access to Mitchell Freeway and Glendalough Train Station. Ideal for access into the CBD and inner city suburbs. Key Features: Scarborough Beach Road address Ample parking Modern showroom / warehouse of 602sqm Competitive rental 400m from Glendalough Train Station Excellent access Outgoings: Estimated at $54/sqm Net (FY 17/18) For further information contact the exclusive leasing agent. Great Amenities | Prime Location | Cutting Edge Office Space $1308pw | 7 Person Worksp..
PROPERTY OVERVIEW $1308pw Price incl. The advertised office space is perfect for a team of 7. If you need more or less space, we have over 30,000 furnished workspaces all over the world suitable for a team of 1 to 200+. Our award winning team offer a free service that will help you find the perfect solution for your needs, so reach out if you need more help. WHO IS OFFICE HUB? Office Hub has largest collection of shared office space, sublet office space, creative coworking office space and serviced offices, perfect for 1 200 employees. Let us take you on a tour of all the spaces that fit your needs and budget. Our service is complimentary and we work for you and the landlord to negotiate the most competitive deal in the market. Let us show you how shared and serviced offices can be the perfect solution for your business. www.office hub.com.au www.office hub.co.nz Conditions apply A portion of the square meterage factors in access to shared space. The advertised price includes any incentives offered based on a 12 month agreement. If a shorter period is agreed to please note the price may increase accordingly. This promotional offer for new tenants only and may be withdrawn at any time due to space availability. PROPERTY OVERVIEW $1308pw Price incl. The advertised office space is perfect for a team of 7. If that\'s not quite right, we have ready to use workspaces of all sizes all over the world and our free service will help you find the perfect solution for your needs. WHO IS OFFICE HUB? Office Hub has largest collection of shared office space, sublet office space, creative coworking office space and serviced offices, perfect for 1 200 employees. Let us take you on a tour of all the spaces that fit your needs and budget. Our service is complimentary and we work for you and the landlord to negotiate the most competitive deal in the market. Let us show you how shared and serviced offices can be the perfect solution for your business. www.office hub.com.au www.office hub.co.nz Conditions apply A portion of the square meterage factors in access to shared space. The advertised price includes any incentives offered based on a 12 month agreement. If a shorter period is agreed to please note the price may increase accordingly. This promotional offer for new tenants only and may be withdrawn at any time due to space availability.